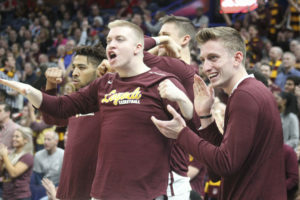 The Loyola men’s basketball team (32-5, 15-3) is headed to the Final Four of the NCAA Tournament for the first time since 1963 after defeating No. 9 seed Kansas State University 78-62 in Atlanta Saturday night behind senior guard Ben Richardson’s career-high 23 points. The Ramblers came out firing on all cylinders, shooting 55.6 percent (15-for-27) in the first half to take a 36-24 lead into the break. 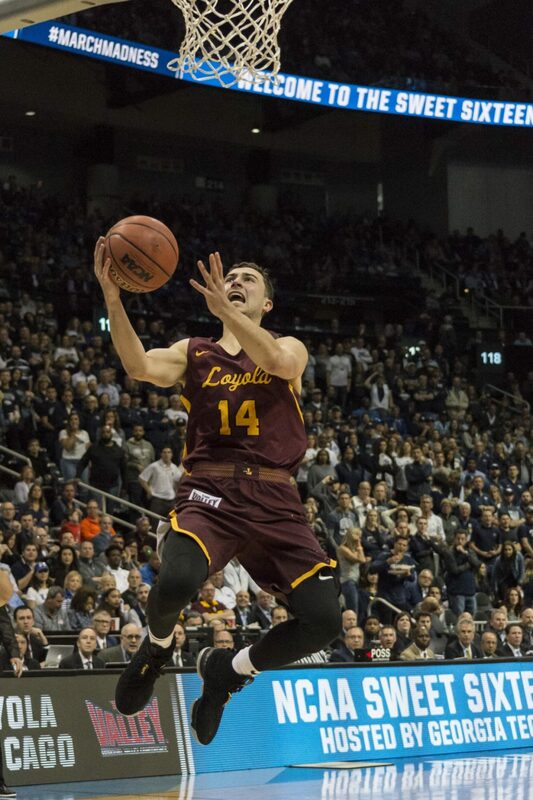 Loyola shot 60 percent (12-for-20) in the second half to seal the victory. In addition to his 23 points, Richardson grabbed six rebounds and dished four assists in the effort. He was averaging 6.4 ppg, 2.9 rpg and 3.9 assists per game coming in. Redshirt junior guard Marques Townes added 13 points to the effort while senior forward Donte Ingram had 12 points and eight rebounds. The Ramblers are scheduled to travel to San Antonio for the Final Four March 31, where they will play No. 3 seed University of Michigan. The time of game has not been announced as of publication. Go Ramblers! We love you guys!